Even if you are an F1 driver, you sometimes need a break from the straight, smooth and winding tarmac. Off-roading sounds like an idea, doesn’t it? When I drive sports cars or regular road cars for a while, I crave to drive something off the road. I enjoy driving off road and every time I drive, I understand that off-roading isn’t a piece of cake. It needs a bit of talent. 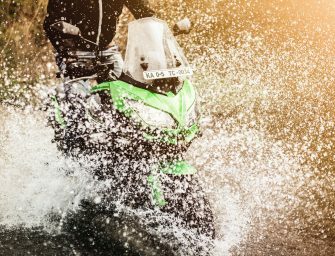 Be it over the dunes, or dirt or slush, you need to know how to tackle the given terrain. 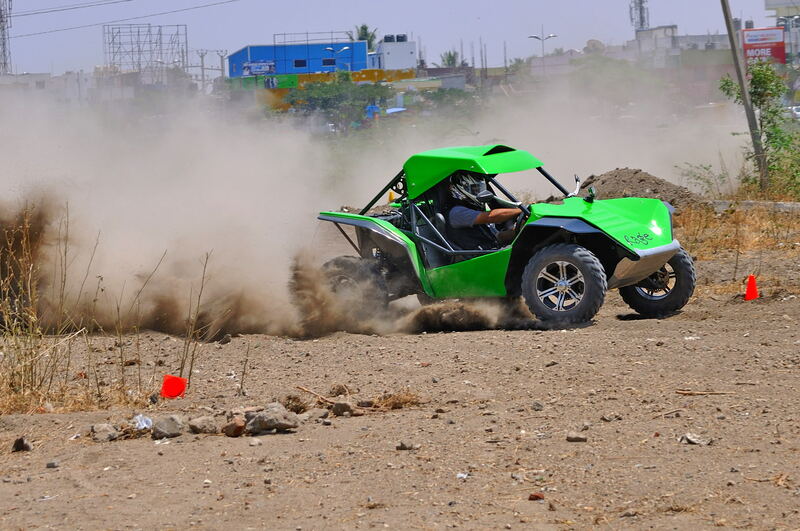 As an off-road lover like you, I was jumping with joy when I got the invite to drive the Rage Cyclone. A quick Google search helped me understand the off-road buggy. The Rage Cyclone carries the same Suzuki K-series engine that is seen in the Alto K10. 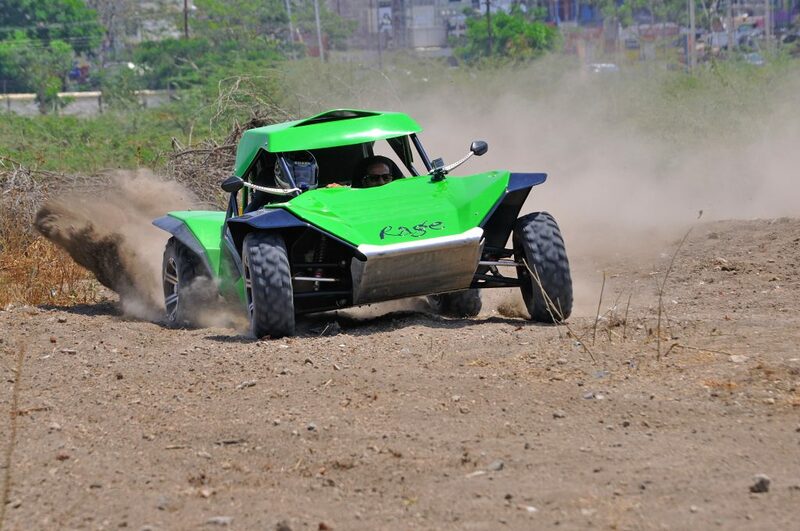 The Rage Cyclone is now being manufactured and assembled in India by Rage Motorsport. The UK based company Rage Motorsports buggies have been known to conquer the toughest challenges in the world, including the Dakar. 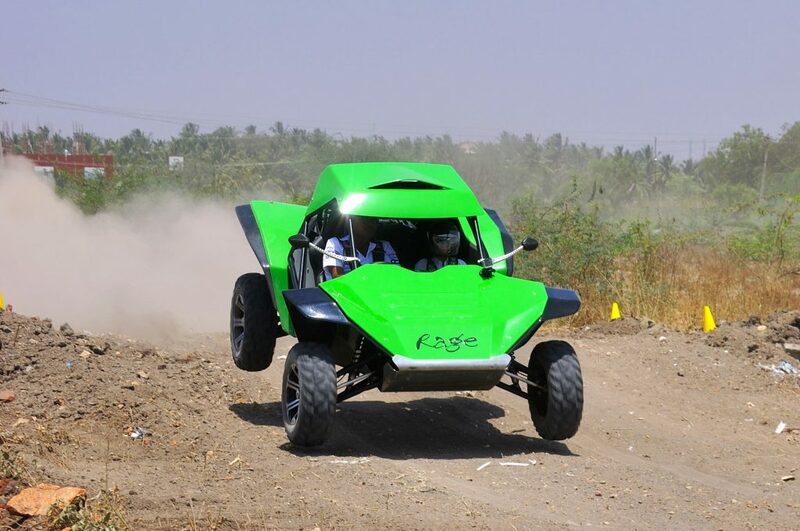 Thanks to Rage Motorsports India, we now have the ever-expanding Cyclone range of buggies in India. The Rage Cyclone looks bulky from the front and once you get a glance of the side view, you understand how small the buggy is. The short wheelbase and wide body help you glide through off-road trails with ease. Before getting to the fun bit of it, let me tell you about the inside story. The Cyclone has been designed around the two-seater tubular space frame chassis used in the Rage Hurricane and Comet buggies. Getting inside the Cyclone will be a bit tough if you are not flexible enough. 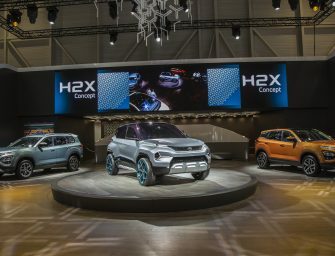 The interior is nothing but a two-seater with just a speedo metre and a MOMO steering wheel and there is no windshield. The sports seats offer good comfort though. I couldn’t feel my bum getting numb even after three hot laps. Once seated, you can strap yourself tight into the 4-point harness. 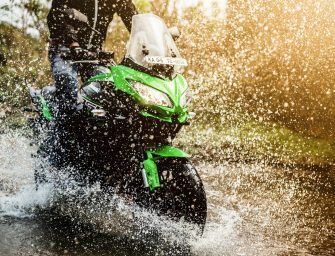 The K-Series 1000cc engine comes with a waterproof ECU since the Cyclone will be taking a mud bath quite often. The Rage Cyclone’s exhaust is an aftermarket stainless steel unit which gives you a much better sound experience than you would expect. The 3 cylinder 1 litre motor is unfortunately mated to a CVT transmission. On the driver’s right is the gear-lever that has three positions — forward, neutral and reverse. There is initial lag which is noticeable, but in no time the Cyclone takes off. I thought it would be lovely if it was a manual, but that was only until I got to drive the Cyclone. Like I said, off-roading isn’t a piece of cake. 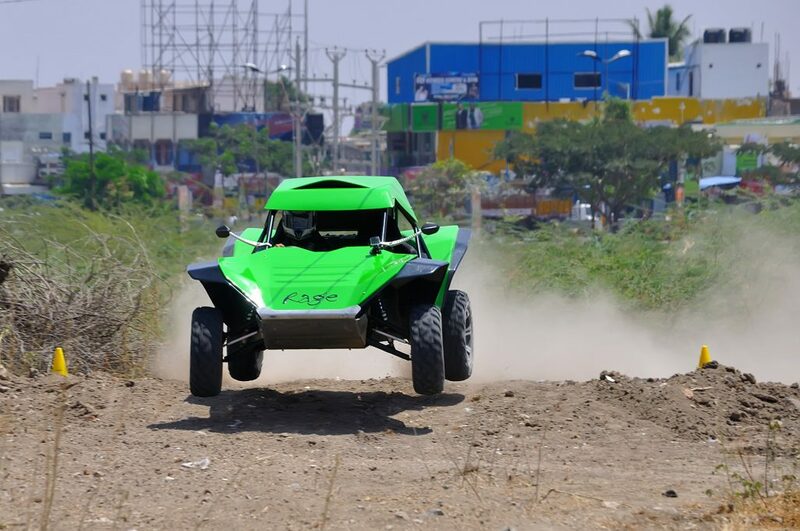 The drive experience was arranged on a temporary off-road track built inside the city near Coimbatore airport. It took two full laps for me to understand the steering and throttle response. The third lap was much more comfortable with the CVT as you can concentrate on the steering, weight transfer and throttle. In order to play around dunes and jumping over crests, the Rage has an added bash plate on the front, engine guard and the double wishbone suspension with 12.5” of travel at the front and 13.5” at the rear. The chunky tyres run on 14 inch wheels in which the tyre pressure is set at 10psi. Altogether the suspension and the chunky tyres offer a smooth ride even if you are throwing the buggy around corners and uneven gravel paths. 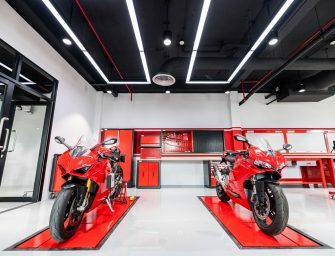 The Cyclone’s peak power is 70hp and peak torque is 90Nm at around 3500rpm. Don’t be worried about the power figures; the Cyclone weighs just 540kg. What matters most is the power to weight ratio. 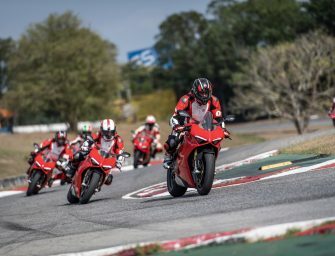 70bhp for 540kg is something which can bring out the fun element when you get your hands on it. On the straights, I was cruising at around 80-90kmph drifting sideways around the corners. The Cyclone is easier to ride and it lets you to drift like a hooligan even if you don’t know how to hold opposite lock. You will realize it is much easier to handle this buggy when it goes sideways because we instantly know how much counter steer we have to apply. That way, the limited slip diff hooks up, resulting in a beautiful sideways exit out of the corner. The Cyclone is a fun machine. It gives greater confidence for the driver and is much easier to handle unlike the Polaris buggies. What you’ll love is how it makes you a complete hooligan and a drift star. The Cyclone is not road legal as of now. But if you have a farm of your own and Rs. 13 lakh to spare, this buggy is a must have in your garage.